The majority of seminaries are dividing the society by creating border lines of the religion. They are destroying our ideology on which our country’s basis was held. Universally, madrassas have been the source of complete education and knowledge for Muslims all over the world; they provide all sorts of knowledge including science subjects also. 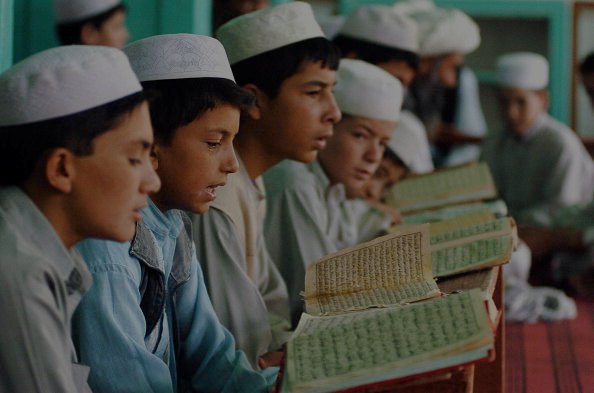 The traditional role of madrassas has been confined only to the religious sector. Such religious schools have not been managed and controlled well; as a result the extremist elements were grown up. The history of this miss-managed system of seminaries is so old, in 1980s US and Saudi Arabia allotted about 4 billion dollars to set up and construct religious institutions, seminaries, since that time the madrassas became the site of growth of extremists in Pakistan. This situation made the security conditions even more worse. Pakistan is one of the under-developed countries; it is facing intense security problems. To solve this matter, we have to improve the quality of education in madrassas. The fundamental purpose of education is making a common man aware of good and bad, they can distinguish between right and wrong. Unfortunately, it does not work in Pakistan. The US Commission on International Religious Freedom researched the religious schools of Pakistan; they found that almost every textbook enhances religious biasness it results in lack of tolerance and peace in society. As Pakistan is a country that faces poverty at large, most of the population of Pakistan lives in villages and towns. Poverty, lack of awareness and illiteracy are the major problems that most of Pakistanis are facing, due to these people are left with two choices only, that are: to discontinue their education or getting education from any religious institute. The majority of the madrassas provide free education, residence to the children; in this way they are able to spellbind the children, thus producing perfect victims for the extremist organizations. These madrassas brain wash the children by presenting Islam as a religion of war and hate. Not only in religious schools, but also in common schools children were taught about jihad-bis-saif (jihad with the sword), it was particularly highlighted that Islam emphasized greatly on jihad. It was neglected that Islam is a religion of peace as shown by the history. The other problem connected to the current security conditions in Pakistan is that various parochial schools are getting funds from Iran and Saudi Arabia; it is dividing the society into many sects. The sectarian conflicts are rising greatly in Pakistan as thousands of people being killed in the sectarian conflict of Sunni and Shia. To avoid such extreme conditions we have to take some measures: the madrassas must be registered in order to educate the children and government should have the authority to hire staff for them, government should take notice of the madrassas that are producing extremists, these seminaries should be banned. The separate subject of “peace and tolerance“should be taught to create a real picture of Islam in the minds of the children.